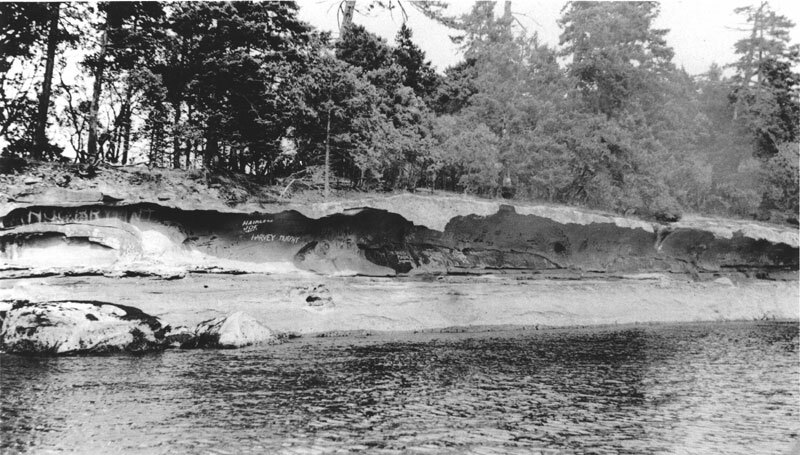 One of Gabriola’s main natural attractions for the past century and a half is the rock formation called the Malaspina Galleries. The sandstone rock along the coastline has been eroded by surf and frost and creates the illusion of walking underneath a frozen wave. 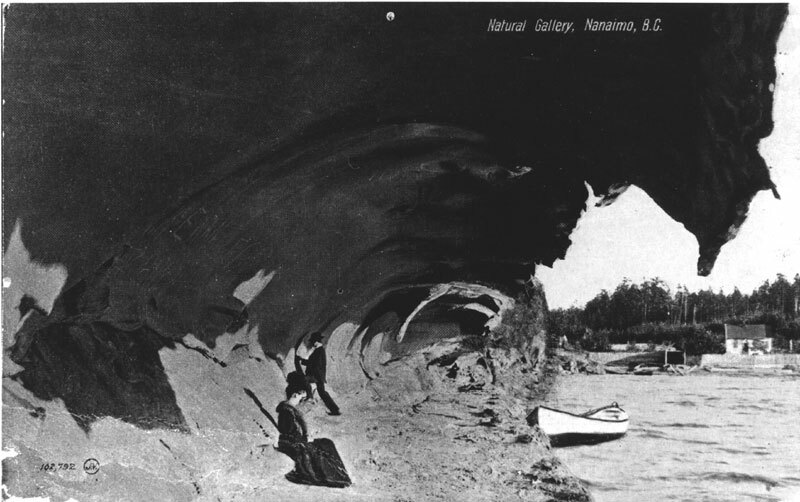 The Galleries have been a destination dating back to the Snunéymuxw , who used them for cave burials, day-trippers from Nanaimo who enjoyed picnics under the overhang, teenagers who enjoyed jumping from top of the formation into the water below, and geologists studying rock formations. 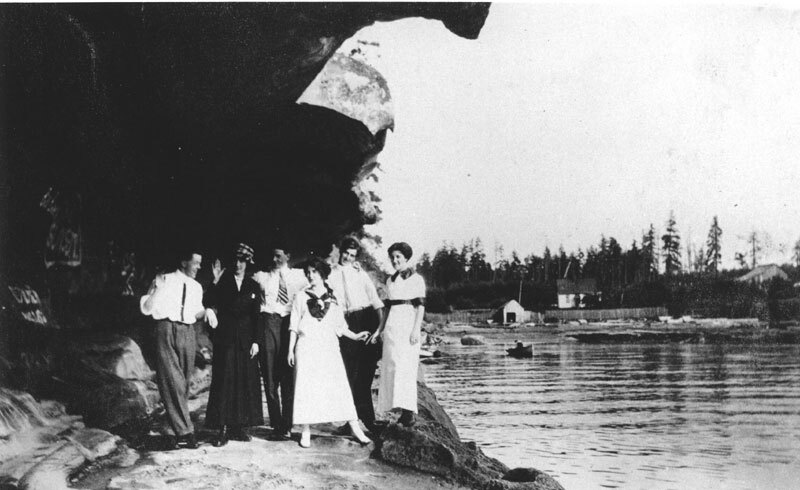 Black and white photo of a group of people at the Malaspina Galleries. 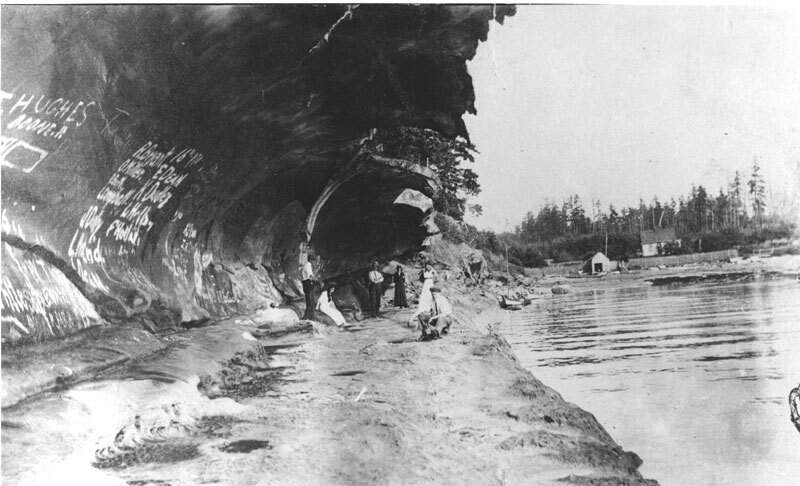 Postcard of Malaspina Galleries, including man (standing and perhaps carving something on the wall) and woman (seated), rowboat and Foster's house in the background. Labelled Natural Gallery, Nanaimo, B.C. 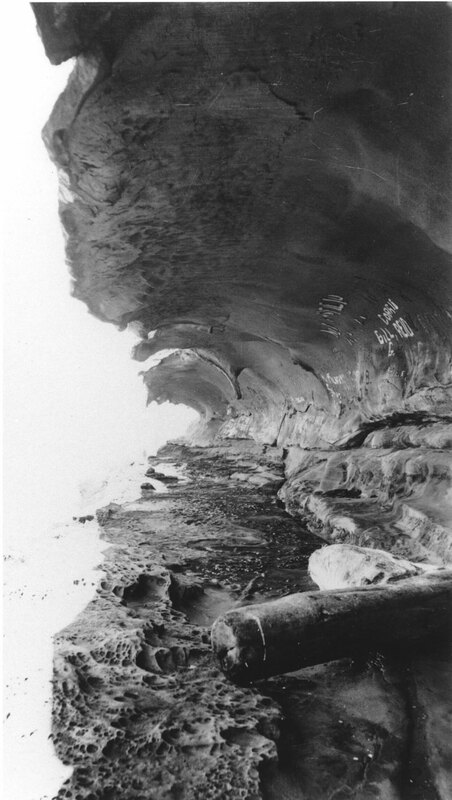 Black and white photo (fading to sepia) of Malaspina Galleries taken from a boat. Graffiti: "Hairless Joe" "Harvey Murphy" and others that are faded and illegible. No date. Black and white photo of Malaspina Galleries looking out to ocean. No date.